May 26th in Themes for Pro Bloggers by Wordpress Jedi . WordPress is the most popular platform for bloggers. You name a decent blogger, and he/she has probably heard and used WordPress in the past. There is much to love about the platform. Not only there are thousands of plug-ins available to enhance your site’s functionality, there are lots of themes to choose from to get the design you love on your site. With that in mind. Here are 51 top pro blogging themes for WordPress. 1. Thesis: Thesis is made specifically for bloggers. It’s not only lightweight, but very easy to customize. Many super bloggers are already using Thesis, and sometimes even I wonder why I am not using it. So don’t be surprised to see me dump my current theme for Thesis soon (in the next few weeks). 2. 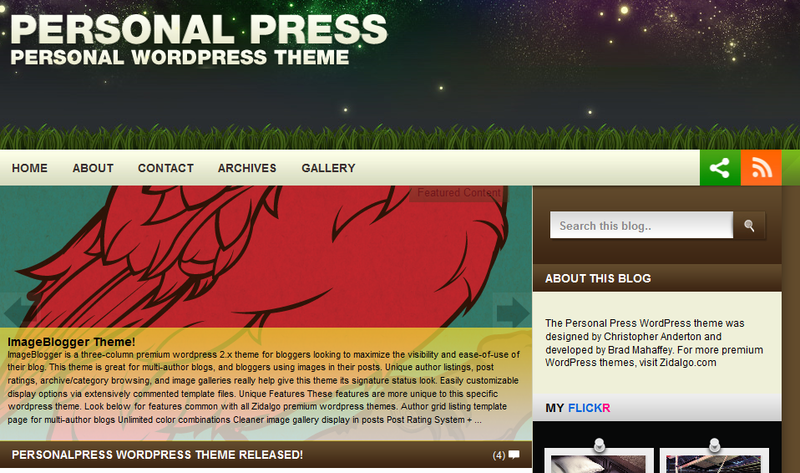 Blog V3: Bob version 3 is one of the most good looking themes designed for bloggers. The design is superb, and it comes with everything you need to knock out your blog out of the park. 3. 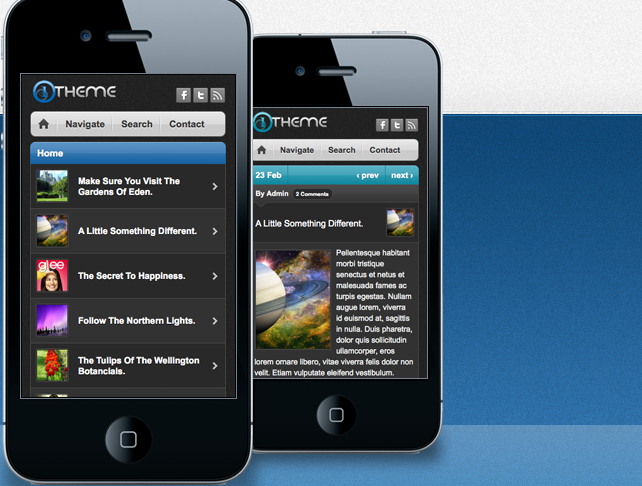 Streamline: Streamline is a highly flexible theme from StudioPress. It’s easy to customize and comes with a dynamic menus and ad ready. 4. 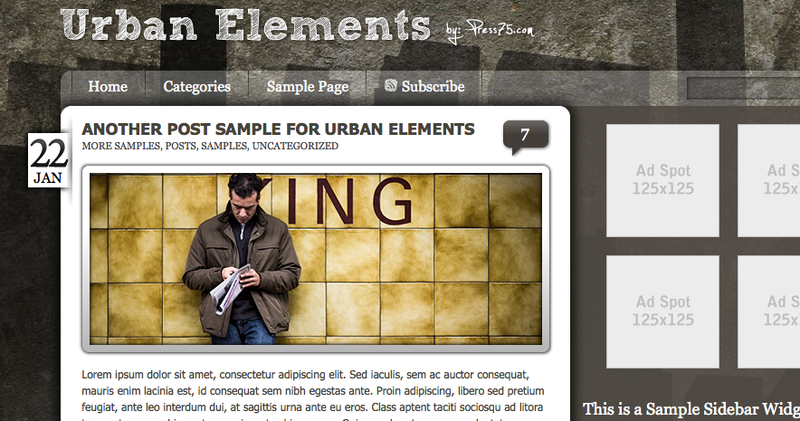 Urban Elements: another great theme just for bloggers. Urban Elements is very simple and easy to change. You don’t have to be a programming expert to customize the look and feel. 5. Stylish Blog: a beautiful pro blogging design. Stylish Blog is not only stylish but comes social media and ad ready. 6. 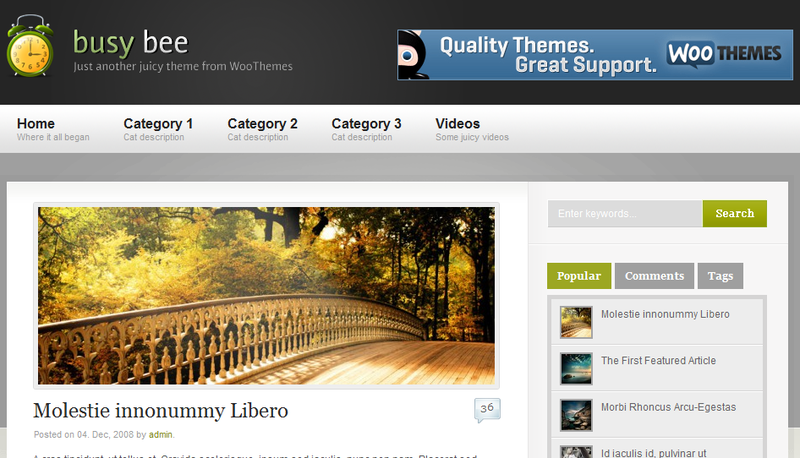 BusyBee: A great theme from WooThemes. BusyBee not only attractive, it’s flexible too. Very attractive and highly customizable. 7. TrueBlogger: TrueBlogger a great blogging theme for folks who want to have a ProBlogger lookalike. It’s not a complete copycat, and it is highly customizable. 8. Arthemia: Arthemia is a very good looking magazine theme that with some modifications makes a great blogging theme. 9. Platformate: Platformate is a great looking theme with thumbnail support and everything. 10. WP Remix: WP Remix an all in one WordPress theme that can be used to create all kinds of websites. 11. Our Community: Our Community is a highly attractive problogging theme that can help you build a real community around your blog. Very clean. 12. Creation: Creation is another clean blogging theme that comes with everything you need to start your blog fast. 13. 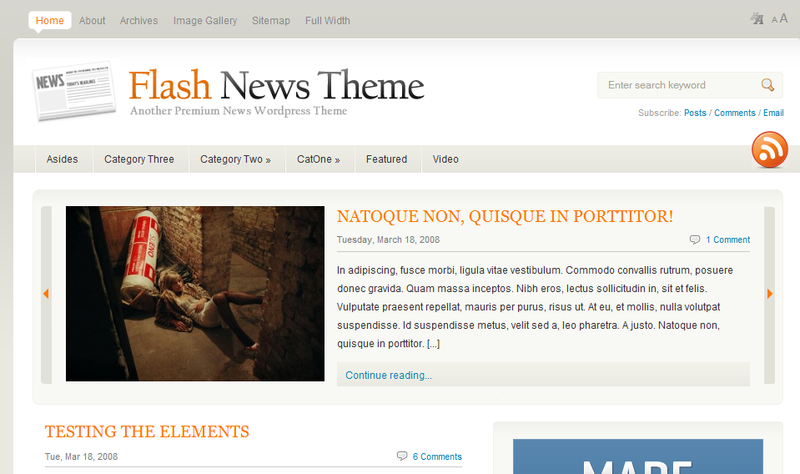 FlashNews: FlashNews is a sophisticated and well-designed theme that should help you get started with blogging fast. 14. 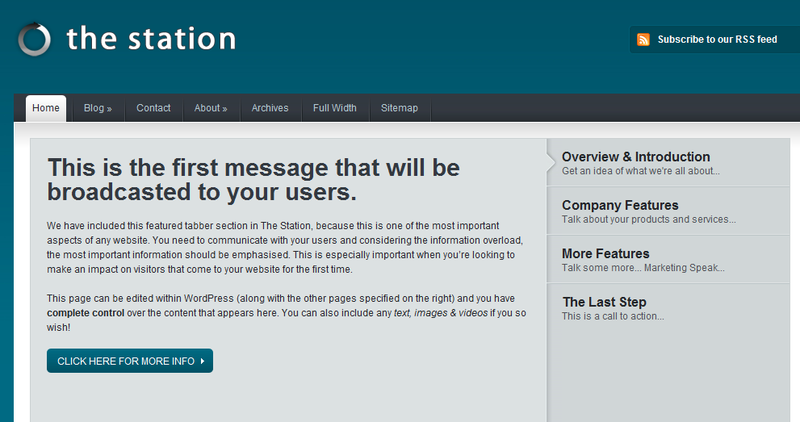 TheStation: TheStation is designed for people who are looking to put up their blogs fast. Highly customizable. 15. Viva7: Viva7 another great theme that is highly customizable and can be used for super blogs. 16. Blogging Success: Blogging Success a video ready blog that is designed for folks who want to start their own site as soon as possible. 17. Arras Theme: Arras Theme a niche blogging theme designed for gamers. It comes with a dark background and perfect for geeky websites. 18. EarthlyTouch: EarthlyTouch is a flexible theme that allows you to run your website as a portal or a blog. 19. WP Premium: with WP Premium, you get multiple layouts and can create your own blog family. 20. CherryTruffle: CherryTruffle is a social media blogging theme that allows you to easily integrate your YouTube, Facebook, Twitter, and other accounts into your theme. 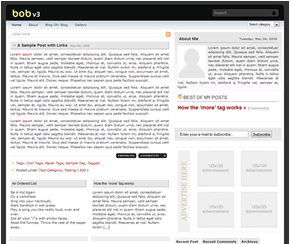 21. myweblog: myweblog is designed specifically for probloggers. Comes integrated with LifeStream and 5 color schemes. 22. Sketchd: Sketchd is an artistic WordPress theme that would look awesome on any blog. 23. 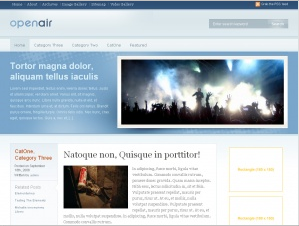 QuickRise: QuickRise is a highly attractive theme for serious bloggers. It’s very dynamic and comes with international language support. 24. ColdStone: a great theme for bloggers. ColdStone comes with a clean code and is social media ready. You get 3 layouts. 25. Citrus: one of the most attractive blogging themes on the Internet. Citrus comes in 6 layouts that you can use to create all kinds of niche blogs. 26. One Theme: OneTheme is another great theme that gives you plenty of options to start and customize your problogging theme. 27. DeepBlue: DeepBlue is a great looking theme for technology, gadget, and gaming bloggers. 28. Elegant: Elegant is another dark theme for technology and gaming bloggers. It is easy to customize and you get the PSD files as well! 29. Clean Slate: Clean Slate is a very clean and attractive pro blogging theme. It’s easily customizable and lets you promote your content easily. 30. Chaapar: Chaapar a dynamic pro blogging theme that comes in 6 colors, ads management, PSD files, and sidebar login. 31. TechGate: TechGate Ultimate is a 6 in 1 WordPress theme that comes with a clean code and supports all kinds of content. Great for hybrid bloggers. 32. 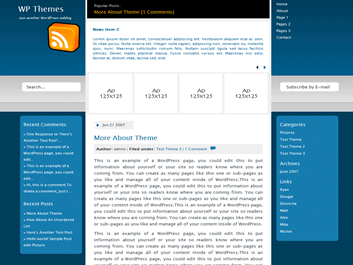 OmniTheme: OmniTheme is a complete blogging solution for those who have multiple blogs. You get multiple layouts, and OmniTheme is highly customizable. 33. MotherTheme: dubbed as the mother of all WordPress themes, MotherTheme is a dark/light theme designed for blogging professionals. 34. Credit Crunch: Credit Crunch is an attractive WordPress theme designed for finance bloggers. 35. Hawaii: if you are into blogging about vacations and Hawaii in specific, you are going to love Hawaii WordPress theme. 36. Convergence: another social media ready blogging theme. Great for building solid communities. 37. Member: a simple pro blogging theme that comes in 3 colors. Perfect for personal blogging. 38. DarkCommunity: Darkcommunity is a cool WordPress theme with the intent and focus on creating a community site around your blog. Comes social media ready (Digg, Twitter, …). 39. Bloggingstream: Bloggingstream has a very good looking theme for personal bloggers. Comes integrated with YouTube. Has a magazine look and feel to it. 40. Cool Theme: Cool Theme another good looking yet simple theme for beginner bloggers. 41. MoneyBlogger: MoneyBlogger is a very attractive blogging theme by BlogOhBlog that is perfect for Web 2.0 websites. 43. DarkNote: DarkNote is a dark pro blogging theme that comes with 5 color schemes including: Blue, Orange, Pink, Green and Red. It also integrates Twitter as well. 44. Technoholic: a very simple and flexible too for tech bloggers. Technoholic is affordable too! 45. Personal Press: a blogging theme by Zidalgo, it comes with an attractive color contrast and is made for colorful bloggers. 46. Alaska: Alaska is an affordable and SEO-friendly theme that is excellent for starting Web 2.0 blogs. But by no means you are limited to that topic. 47. Venice: Venice is very similar to Alaska but it comes with a warmer contrast of colors. 48. Personal Blog: as the name suggests, Personal Blog is the perfect theme for blogging beginners and those interested in creating their personal blogs. 49. Who’s Who: Who’s Who is another great theme by ElegantThemes that allows you the option to run a portal or blog. 50. ArtSee: ArtSee is a light blogging theme that comes with AJAX and drop down effects and is easily customizable. 51. Open Air: Open air is one gorgeous theme. You can use it for other purposes than blogging, but it makes one good blog, if you decide to use it. Great list, make me easy to get my favorite themes, thanks!